When Winning Isn't Enough, Steve Friedman, Arcade. For fans, sports is simple. They want their team to win, they want their top player to give his best effort, and they want that player to be at his best in clutch situations. For athletes, things are more complicated. The pursuit of victory can become agonizing when nothing ever seems good enough. In “The Agony of Victory,” author Steve Friedman tells the stories of athletes for whom winning is the worst thing that could possibly happen: the bicyclist whose great victory led to fear of never measuring up again; the runner who lost the joy of running in competition; the college basketball star who dropped out of life, haunted by the voices in his head. These failings, both physical and mental, are told in detail that can be both heartbreaking and disquieting. Friedman excels at bringing readers into the moment and into the athletes’ heads. And those are some pretty dark places. It seems a moment of triumph can be the first step on a hall of fame career, or it can be the last step before paralyzing self-analysis sets in. “The Agony of Victory” doesn't—can’t—explain why some athletes love the big moment and others fear it, but it does demonstrate that sports is a little more complicated than just wanting to win. 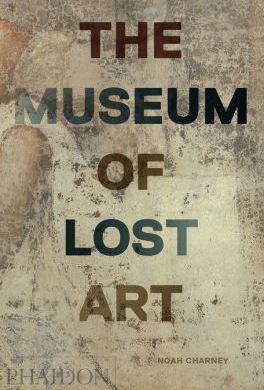 The Museum of Lost Art—Noah Charney, Phaidon. The End Of Influence—What Happens When Other Countries Have The Money.